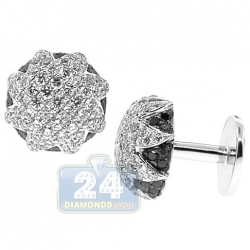 Add these handsome white gold cuff links to your wardrobe! 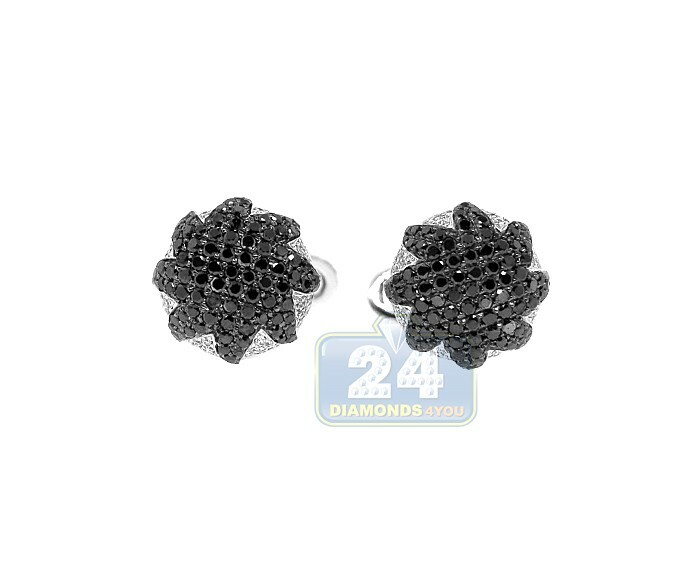 Handmade in a lustrous 18K white gold setting, glittering star of black diamonds is surrounded by sparkling white diamonds to show off your fashionable taste. 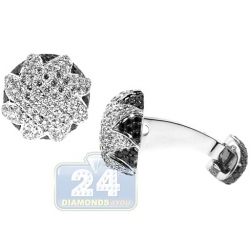 Gorgeous and unique design of this jewelry piece is perfect for elegant occasions! 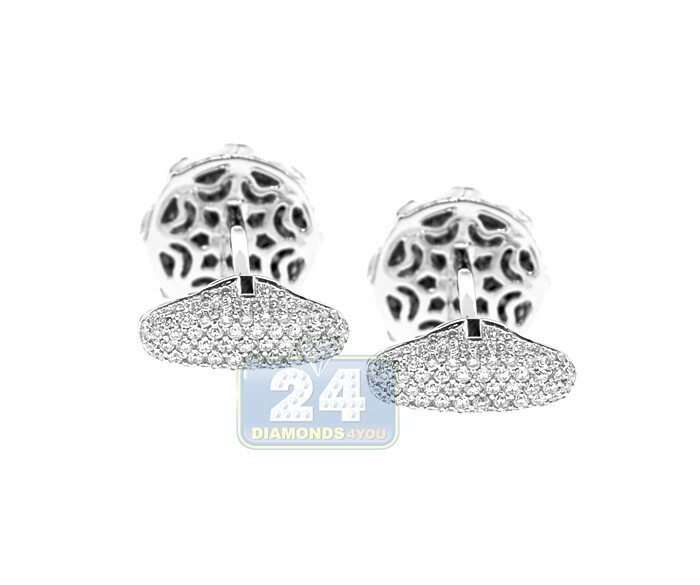 These 18k white gold 3.68 ct black diamond star mens cuff links are manufactured according to the highest jewelry standards by professionals with over 20 years of experience in the industry.